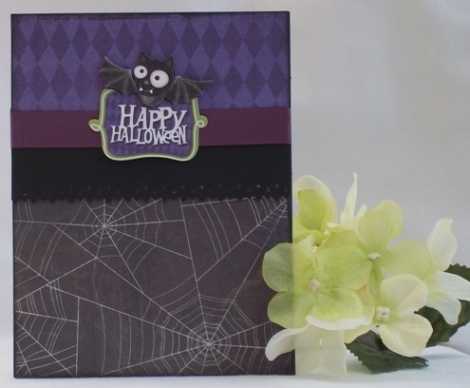 Bats and spider webs are perfect images for a Halloween card craft. 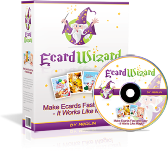 Making this handmade card is easy and does not require a lot of skill. Cards for Halloween are so colorful and most of my handmade Halloween cards are bright using oranges, reds and greens but this time I wanted to make a Halloween card using dark tones. 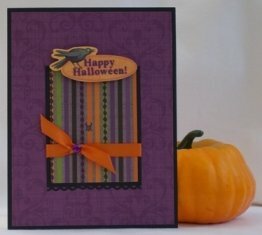 For this happy Halloween card I used shades of purple and black. The purple diamond print was from a paper stack and the other purple shade is a satin ribbon. 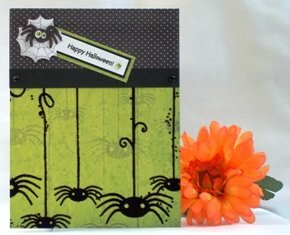 Many of my hand made card ideas utilize border punches and for this Halloween greeting card, I used a punch that had small diamond cut-outs and a zigzag border which tied in nicely to the diamond paper pattern. 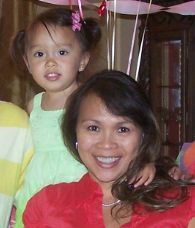 It's a little hard to see in the image since there is a dark colored paper behind the punched border. For my homemade Halloween card ideas, I utilized a sticker for my sentiment. 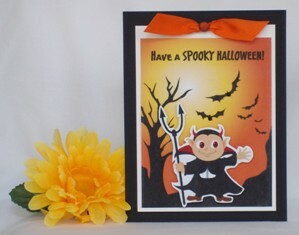 The vampire sticker came in a pack so it made creating my handmade Halloween card quicker. It also coordinated with the diamond pattern paper. 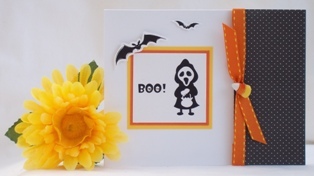 Inspiration for your homemade card ideas for making Halloween cards can come from a sticker, pattern paper or even ribbon. 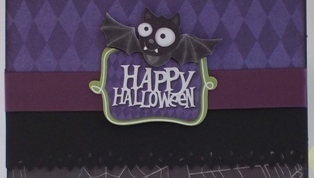 My Halloween card idea came from the bat sticker and I used the colors to help me with the color coordination. This handmade card making project was pretty simple because it didn't require a lot of materials. 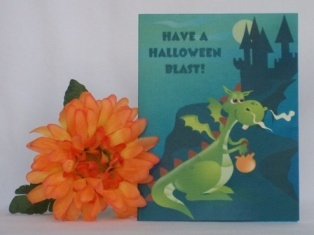 Make Halloween cards for family, friends or coworkers. No matter what Halloween card designs you come up with, your Halloween card craft will put a smile on the reciepient's face so build your own Halloween cards and try some of my paper card making ideas.